There are a number of different peoples who have problems in the Islamic Middle East and North Africa (MENA). One of the most covered is Israel where over half the world’s Jews reside and are in mortal danger in one way or another every single day, especially with the missiles and weapons of mass destruction held by Iran. Another group which has gotten its fair share is the Kurds who despite being largely Muslim are not accepted well by their Arab coreligionists. But there is one group that unless there has been some heinous act of barbarity or one particular group is facing a special situation, they are mostly ignored. These groups are the many different types of Christians. We spend much of our time here at BTC on Israel and the United States as that is where much of the news coverage emanates from and where we do or have lived. Today we will go a little afield of this and try to give this particular message about the Christians some attention. The first thing people need to realize are who these disparate groups of Christians are. We will list those we know of and where they predominantly reside. There are the Coptic Christians who largely reside in Egypt, the Maronite Christians living mostly in Lebanon, the Chaldeans (also known as Kaldaye and Kaldanaye) who are a form of Catholics and reside largely in Iraq, the Assyrian Christians who obviously reside mostly in Syria but also into Iraq, the Yazidis Christians who are a derivative of the Kurdish peoples and like them reside mostly in Syria and Iraq, and then there are other smaller groups of Christians throughout the MENA area and also those Christians throughout the world who reside on the borders of Islam where there is often frictions and even terrorism and outright warfare placing all civilians in danger in the area. 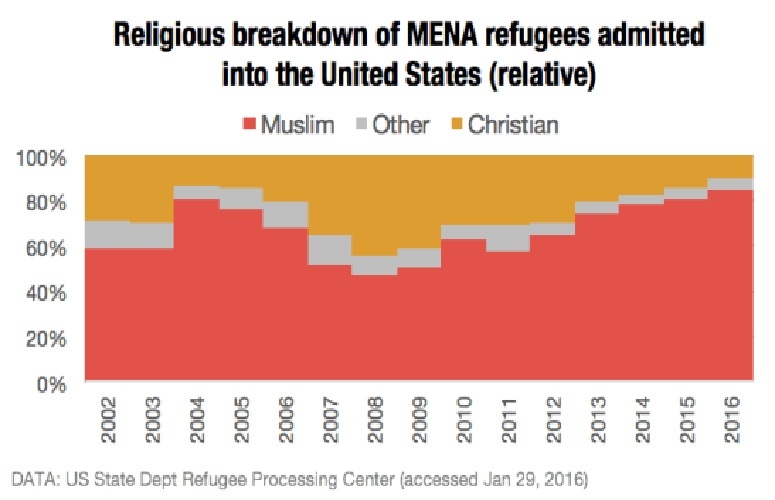 The sad news is that almost all Christian communities in the MENA regions in every nation are facing falling populations as they are facing the contempt and violence which before them was inflicted on the Jews. 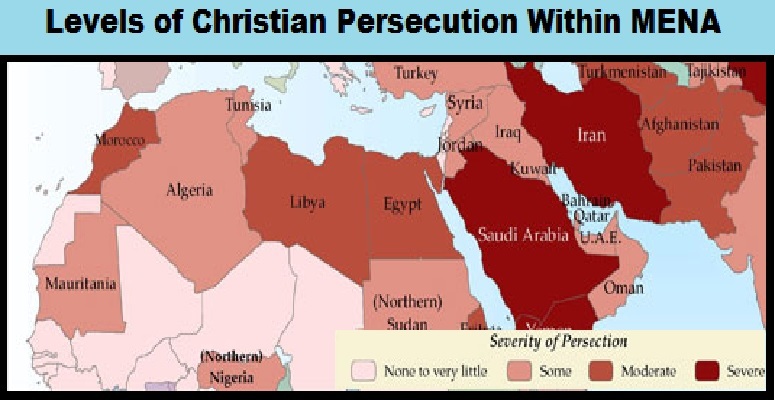 The Jews have all but left the MENA nations, which is why the Christians are now facing these harassments, as these nations purge their populations of the non-believers, those not following Islam. As this purge continues, these populations will reach a critical point where the Muslims will feel it easiest to force their conversions or simply murder them, the choice between Islam and death. When this point is reached, any remaining Jews will be grouped right along with the Christians and executed if they refuse to convert. Even conversion will not end the strife as once converted they will be scrutinized by their fellow Muslims for any breach in their observance or appearance of still keeping to their former religion. All of these supposed transgressions will be met with death as notice to the remainder to remain pure and diligent in their newly adopted faith of Islam. It should be noted that there is one nation where the Christian population is healthy and growing and that is Israel as there is true freedom of religion in Israel and all religions are recognized and accommodated including Islam (both Sunni and Shiite), Christianity (all the above mentioned and almost every other form of Christianity found on Earth), Baha’I, Hindu, Buddhist, Animist, Druze, Atheist and other less well known religions. Outside of Israel, the story is mostly not as kind. In Syria and the areas ruled by Islamic State, it is unsafe for people in general, and for non-Muslims, it gets even more treacherous, with the danger becoming critical in a moment, and with little warning. In Iraq, there is sectarian violence between Sunni and Shiite Islam yet they still find time to make being a Christian a dangerous religious choice. Some groups of Christians have made themselves useful to the ruling form of Islam in their area and are thus treated as protected, but this protection will only last for as long as these Christians are filling that niche needed by the Islamic believers. Often this takes the position of being able to cross certain otherwise uncrossable areas to take messages to those Muslims who are kin to the ones protecting these Christians, as they are able to cross the frontier between two warring sects of Muslims delivering their messages or other packages. This also permits getting messages into the prisons as Christians often have relatives imprisoned giving them reason to visit and then the system in place within the prison takes over and the message will get to the intended. Being a Christian in an Islamic world, specially now with Islam becoming resurgent and thus more aware of their Islamists becoming more brutal in their means of rulership with Sunnis warring with Shiites and vice-versa, their lives are more fragile than the finest china. The one item they both do agree upon is that non-Muslims, those not following their version of Islam, must be converted or eradicated. This has placed some of the smaller sects of Islam, such as the Kurds, the Kharijites or the Sufri and any other small Islamic sects in mortal danger. Eventually, if permitted to take its course, Islam would face a final battle for the good of Islam where either Sunni or Shiite will prevail proving them the beloved of Allah as Allah rewards strength and abhors weakness. The recent strikes against Coptic Christians in Egypt being responded to by the Egyptian military air strikes on the training facilities for those terror groups identified who struck these Coptic Christian communities is a new and welcome face for Islam and is a good indicator that Egyptian President Abdel Fattah el-Sisi has at least his nation heading in a proper direction. And there are other signs that a new era may be emerging in the world of Islam. This will be due in no small part to Egyptian President Abdel Fattah el-Sisi as well as the recent visit by United States President Trump who read fifty national leaders about their responsibilities and taking a lead in transforming Islam for the modern era. One cannot know exactly what President Trump said to these fifty leaders behind closed doors, but if their actions against Qatar, which forced them to expel certain Hamas individuals who had been hiding in a safe house within their borders, are any indicator, that message was received and they are intending initially to comply. The pressure was placed on Qatar by Saudi Arabia, Egypt, United Arab Emirates and Bahrain. This was an immediate response to President Trump’s strong message that there was a role which the Arab and Muslim world must take if they are hoping to distance themselves from radical Islamic terrorism and be a part of the solution, not the problem. This should also, with time, force them to be more accepting of others starting with other varieties of Islam and finally other religions and recognizing their right to exist. Egyptian President Abdel Fattah el-Sisi could be a chapter if this were a book. His actions place him as the leader of these changes which the Royal Family of Saudi Arabia will need to set their sites on meeting if not exceeding his actions and examples, which will be a test for them. Egyptian President el-Sisi has addressed Al-Azhar University in Cairo, the leading Sunni institution of higher education in the world, and both times demanded that they bring their curriculum into the modern age and teach tolerance and stay away from the imperative for Islam to rule the world but instead teach that Islam should become a major contributor to improving the world and gaining adherents through their good and beneficial actions rather than the old message of conquest and conversion by the sword. It appears that his pressures are paying dividends, as we mentioned yesterday, in that Al-Azhar University has hired their first non-Muslim professor who is going to teach in their medical school. Where this is but a small step, every journey into change and reaching into the future, or even the present as in this case, starts with that first step no matter how small or how timid, that first step is always the most difficult. We can feel certain that President el-Sisi will keep the pressure on for change and modernization. He has stated that modernization of Egypt is his eventual aim and towards that end he will be instituting a basic education package which all schools must teach which will include literacy in that all students can read and write with a degree of proficiency and that they also be taught basic math and sciences and that these prerogatives be accepted in the Madrasa and move from simply teaching the memorization of the Quran and enter into teaching a modern set of assignments such that the Egyptian people will be capable of working within an advanced society and perform factory work and higher level work and that Egypt transcend from their current 73% reaching 100% as their immediate goal. Here is a list of illiteracy rates for the population over fifteen years of age in the MENA nations; Afghanistan 72%, Pakistan 50%, Mauritania 49%, Morocco 48%, Yemen 46%, Sudan 39%, Djibouti 32%, Algeria 30%, Iraq 26%, Tunisia 25.7%, Egypt 28%, Comoros 25%, Syria 19%, Oman 18%, Iran 17.6%, Saudi Arabia 17.1%, Libya 16%, Bahrain 13%, Turkey 12.6%, Lebanon 12%, U.A.E. 11.3%, Qatar 11%, Jordan 9%, Kuwait 7%, Israel 3%, Azerbaijan 1.2%, and Armenia 1%. As is noticeable, some of the nations have abhorrent and rampant illiteracy while more than one might initially expect have high literacy rates but overall they could all use improvement. These numbers show the results of efforts as over the past twenty-seven years the trend has been noted and significant with literacy rising from 59% in 1990 to 78% in 2010 on average across the MENA nations. 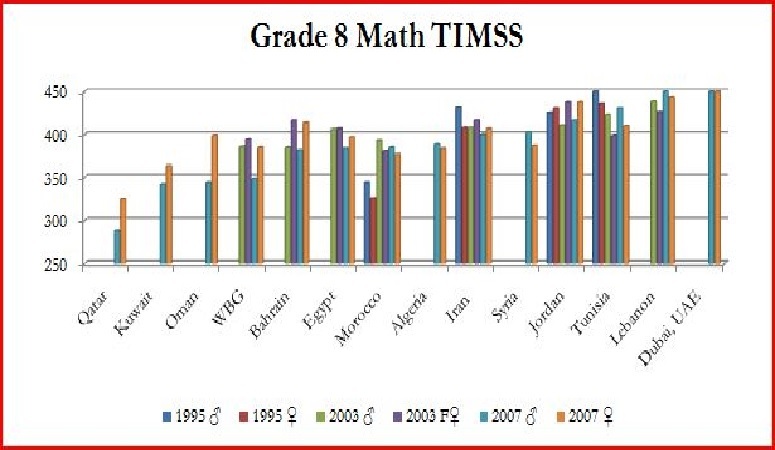 Below is a graph depicting results in basic math skills in some Arab nations where testing has been conducted. In closing we are going to share a video titled “Christians At Risk in Iraq Urgently Need Your Help” from the Knights of Columbus Supreme Council. We will mention ahead of time that this is a request for funding but may still be of interest as information and of course, those wishing to assist in these efforts will find this useful, or at least this is our hope. The Obama Administration through the State Department has confirmed to the press that funding for the Egyptian government will be cut by hundreds of millions of dollars over the current situation pertaining to the military takeover of the government and removing President Morsi. State Department spokeswoman Jen Psaki provided additional information including that delivery of certain large scale military systems would be postponed along with the suspension of funding until “credible progress” was made towards the set up of free and fair elections restoring Egyptian democracy. Currently the United States provides $1.5 billion in annual aid to Egypt which can be utilized to purchase weapons systems or for training troops. The aid was part of the Camp David Accords which were signed by Egyptian President Anwar El Sadat and Israeli Prime Minister Menachem Begin on 17 September 1978. The military aid to Egypt was supposed to keep Egypt closely aligned with the United States and thus prevent the Egyptians or Israelis from launching an attack on the other. By withholding the aid moneys President Obama is making the situation on the border between Israel and Egypt less stable. 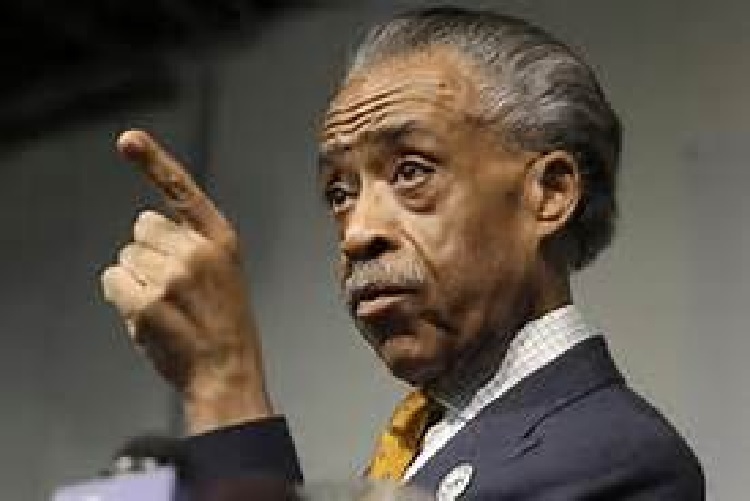 Add to that, President Obama is acting in a manner which aligns him with the Muslim Brotherhood in Egypt calling for the reinstating of deposed President Morsi and the reacceptance of the Muslim Brotherhood control. President Obama has been playing a dangerous game where he has not quite completely and totally rejected the military installed government which was put in place in response to the demonstrations and signed petitions all calling for the removal of President Morsi and carrying the signatures or backing of tens of millions of Egyptians who also protested in the streets. President Obama has decried the violence which has rocked Egypt from border to border with barely a city, town or village escaping the violence. It has appeared that President Obama blames the military as the root from which the violence spreads when in fact much of the violence has been instigated by the Muslim Brotherhood who have taken it upon themselves to take vengeance on those they feel were instrumental in removing President Morsi and supplanting the Muslim Brotherhood control. Many in the Muslim Brotherhood as well as from the Salafists Muslims are convinced that much of the problems resulted from Christians, Shiite, and other non-Sunni Muslims, thus have set out to victimize these minorities with the Coptic Christians facing the worst of the assaults. Despite many of the films of the anti-Coptic violence showing the attackers waving the Muslim Brotherhood banner along with the al-Qaeda black banner, President Obama continues to place the blame for the violence in the streets on the military. This has led to many confused and troubled Egyptians who cannot understand the United States position. They have asked members of the press when they are interviewed to explain how it is the President of the United States can continue to act to support the oppressive rule by the Freedom and Justice Party, the political arm of the Muslim Brotherhood, claiming to stand for liberty and equality before the law. A good number of these Egyptians appear to have read some of the United States founding documents and gained a solid grasp of the principles underpinning personal freedom and the personal responsibility such freedom requires for a nation to continue. Sometimes you find truth and justice defined precisely in places one would never have thought to seek it. It is these young Arabs and other youths around the world who are awakening to the principles of freedom, liberty, personal responsibility and self-governance. Will these young people win the day and install a system of rule which applies the best and most just governance ever founded by mankind? Unfortunately, the answer is no and a lot of that has to do with the current leaders who still believe that if government is given sufficient funds, there is never sufficient funds, given ample shares of power, even all the power would prove inadequate, and given every arm of enforcement, education, media, and anything else their imaginations believe is necessary, they would still at the end of the day fail and blame it on those who dared to be different, those who love freedom and liberty. Perhaps the real reason that President Obama is supporting the Muslim Brotherhood at every turn is because he craves their systematic application of power resulting in near total control, or perhaps it is simply that President Obama has no clue what he is doing.